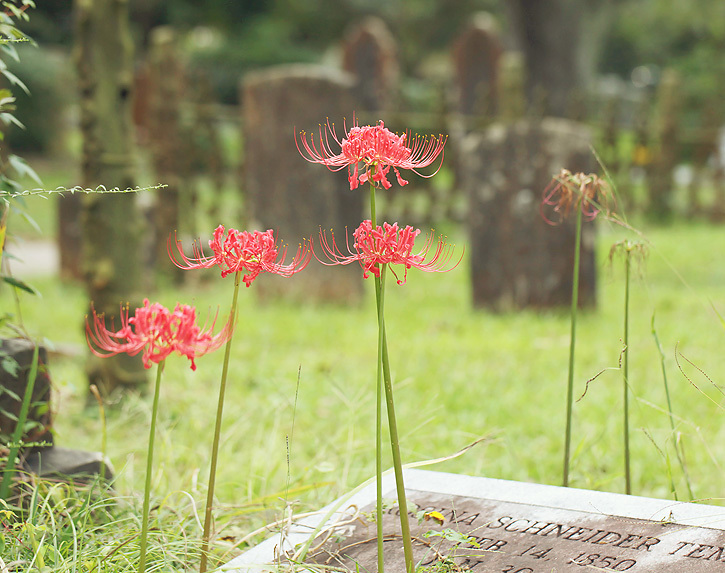 One of the reasons I wanted to visit Grace Episcopal Church and its beautiful cemetery recently is because this is the time of year that the spider lilies bloom. Two years ago I happened to be there at the right time and I took this photo in the most lovely light. So I went again this year with high hopes, but I wasn't happy with any of my lily shots... partly because the light wasn't pretty and partly because I just didn't take a good shot. This was the best one, I guess. I like the 2010 version much better. 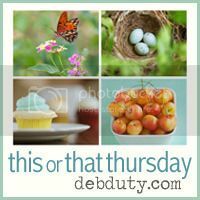 *Before you go be sure to scroll down to the next post to check out the Project Life blog hop going on right now including a giveaway! Big fan of lilies here! Those are so cool. they look great! i have something similar in my garden, but it is more of a vine than a lily. Oo pretty!! Only blooming flowers up here are mums now! Beautiful! I haven´t seen that kind of flower before but it was lovely! Oh my goodness, thank you so much for sharing this! For years now (20 years at least), I've been remembering these awesome flowers that were planted at a house I lived in when I was 5-9 years old, and I had no idea what kind they were or how to find out. These are them!!! I'm so happy to finally know the name of them. Great photo of these spider lillies. I would ♥ to plant some of these in my yard! Thanks for the great linky party. I seem to run the risk of disappointment too when I try to improve on a brilliant past photo. These flowers are stunning and your first photo has caught something very special Deb. I think they are beautiful Deb...hard to compare past and present:) Hope all is well. I think they are both beautiful. Sometimes the situation is just different & it's really hard when you have an idea in mind but it doesn't turn out how you envisioned it. That doesn't make it bad- I think while the newer shot focuses less on just the flowers- it tells a deeper story. Both lovely images and what a pretty flower! I don't think I have ever seen those types of flowers before - very cool! I have never seen a spider lily, so unique. The spider lilies are so pretty! Those spider lilies are so fascinating and delicate indeed. My - it seems that wouldn't live as so delicate. Thanks for hosting T or TTh again. I love it here. I think they are lovely photos even if you are not happy with them! I went out to take some fall color photos and wasn't impressed with myself either. I also wanted to tell you that my milkweed plant got an aphid infestation! I have been trying to get rid of them and am not succeeding, so I hope the plant will be okay! We had these in our house in TX and they "came with" the house so I had no idea what they were. I love them because they are so unique! What a neat flower! Never seen anything like it before! Beautiful Lily pics!Thanks for hosting! Those are fantastic! I have never seen anything like them. The light and bokeh in that first shot are beautiful. You have so many amazing things growing in your neck of the woods. These are gorgeous! This is a 'first' for me...I've never seen or heard of spider lilies before. Your photos are excellent. The bokeh in that first shot is perfect! Pretty flowers! I don't think I have seen spider lilies before. Wow, you aren't kidding, that firs shot is just gorgeous Deb!! That 2010 shot would be impossible to beat, but the second is nice too. Well, I think they're both fabulous shots - as always!! 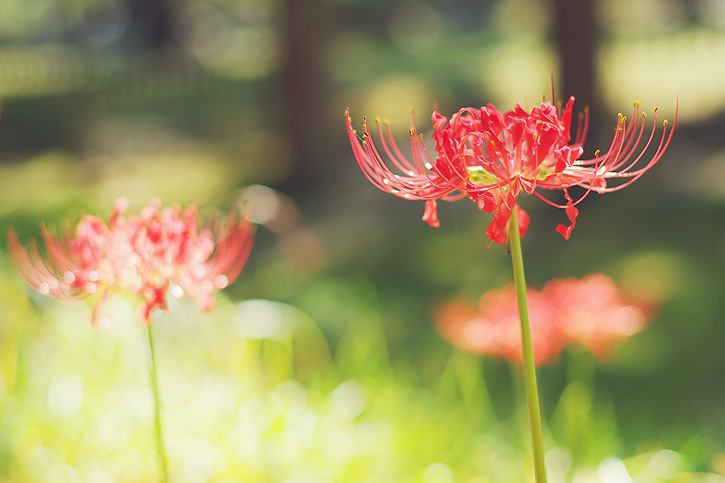 A long time ago, I had elderly neighbors who shared spider lily bulbs with me. I always look forward to them blooming. I am your newest follower. Nice to meet you!